The bodies believed to be of three Israeli teenagers, who went missing in the occupied West Bank more than two weeks ago, have been discovered by the security forces. The discovery was made on the 18th day of the search in a field northwest of Hebron on Monday afternoon. Israeli Prime Minister Benjamin Netanyahu Netanyahu vowed to bring the perpetrators to justice. “They were kidnapped and murdered in cold blood by beasts,” Netanyahu said in a statement. “Hamas is responsible and Hamas will pay,” he said. Earlier on Monday, Israeli Defense Minister Moshe Ya'alon announced that progress had been made in the search for Gil-Ad Shaer, Naftali Fraenkel and Eyal Yifrah, Israel Radio reported. 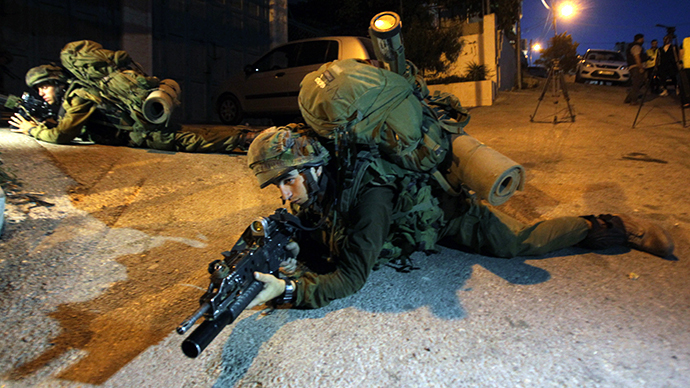 The Israeli security agency, the Shin Bet, has been focusing its effort in the area over the past two days. 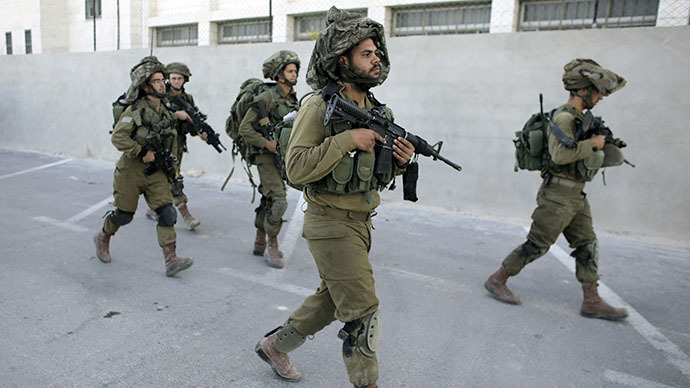 A large number of police officers and security forces had gathered at the Halhul junction north of Hebron and the area was declared a closed military perimeter. 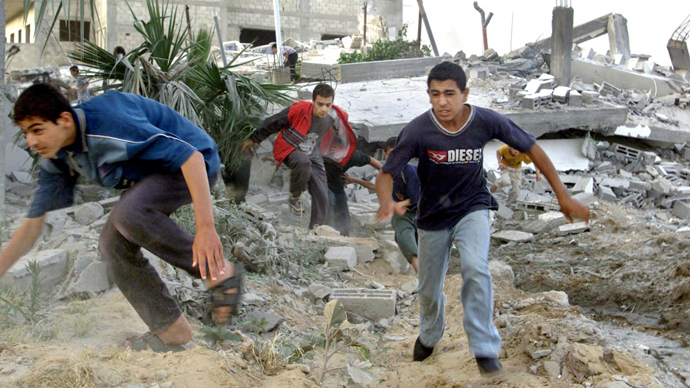 Tensions on the ground resulted in clashes between Israeli security forces and the local Palestinian population. Three Israeli students went missing while hitchhiking in Gush Etzion, south of Jerusalem, on June 12. One of the teenagers managed to call the police to report that they were being kidnapped. The disappearance sparked a massive door-to-door manhunt in the Palestinian city of Hebron and surrounding villages in the West Bank, with the Israeli authorities accusing Hamas of the crime. 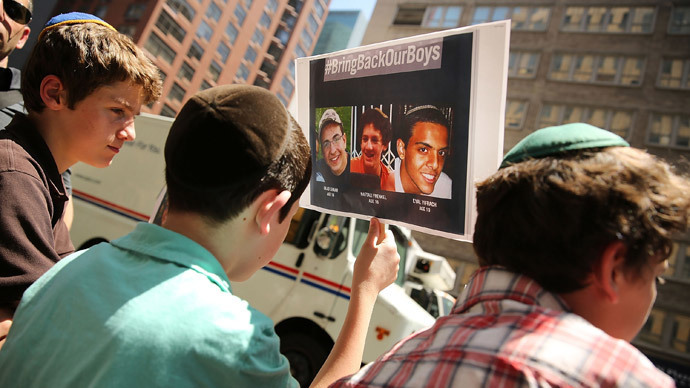 During the 'Brother’s Keeper Operation' to locate the missing teenagers, over 2,300 homes were searched in the West bank and over 400 Palestinian suspects were detained. Hamas, meanwhile, warned that if Tel Aviv is to retaliate, the organization will“open the gates of hell”on Israel, The Jerusalem Post reported. “The threats do not frighten Hamas, its leaders, or the other leaders of our Palestinian people. For our part, we are not interested in any confrontation. However, if this confrontation is imposed on us, the occupation should know that this time will not be like the previous ones. It should be willing pay a price that will be higher than any price paid in the past,” Zuhri added, as quoted by BBC. Israeli authorities last week named Marwan Qawasmeh and Amer Abu Aisha, both of whom are associated with Hamas, as the main suspects in the case. Israeli media reported that the breakthrough in the 18-day investigation came after the relatives of the alleged abductors were interrogated. 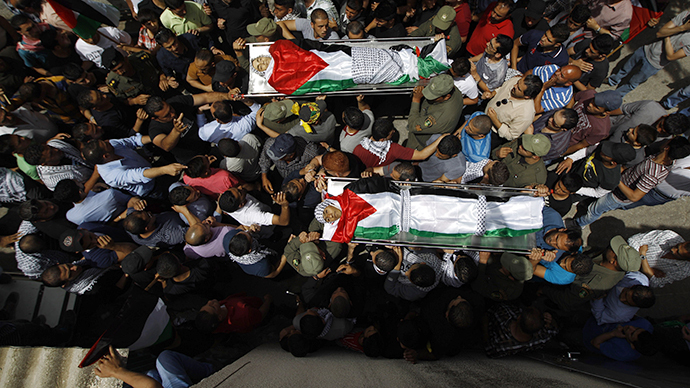 The Israeli political establishment has, in one voice, issued condolences and condemned Hamas. Deputy Israeli Defense Minister Danny Danon said in a statement that he was filled “with deep sadness” over the murders “by Hamas terrorists.” Israeli Housing Minister Uri Ariel shared the sentiment, writing in a statement: “Deep grief. The people of Israel were unified in prayer, unity that should remain at all times. In war, as in war, the terrorists should be hit mercilessly on one hand and provide a proper Zionist response on the other. The eternal nation is not afraid of a long journey." “The United States condemns in the strongest possible terms this senseless act of terror against innocent youth," US President Barack Obama said. "I also urge all parties to refrain from steps that could further destabilize the situation."